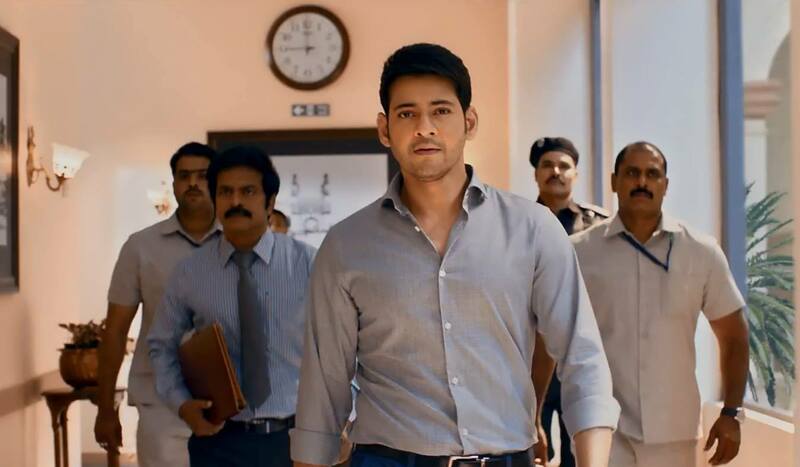 Koratala Siva and Mahesh Babu team up for this smart political thriller. It’s a good looking film with a fairly solid story, but you’ll need to turn your logic-meter off, or even inside out, at times. And not just for the gravity defying action scenes. Bharat (Mahesh) is a perennial student in a London populated by white people with bizarre accents. He is on his 5th university degree, and has no immediate plans to stop studying. He is smart and curious, but might lack a bit of focus or motivation. Called home after the sudden death of his politician father (R Sarathkumar), Bharat is inveigled into taking up the apparently hereditary role of CM by his dad’s friend and colleague Varadarajulu (Prakash Raj). But while Bharat may be clueless about local Andhra Pradesh issues, he’s very rules driven and task focussed and likes to act decisively. He will bring back the FEAR, RESPONSIBILITY and ACCOUNTABILITY (caps courtesy of the subtitles team) that he thinks society needs. And that sets him on a collision course with pretty much everyone in politics. There are some odd inconsistencies in Bharat’s logic at times and it felt like there was an often unacknowledged conflict or contradiction in the film between what he stood for and what he did. Bharat left home to go live with friends in the UK when he was just a kid. He stayed away for years, but he still remembers his mother telling him stories about duty and doing the right thing (underscored by her death when he broke a promise so….). He seemed happy to follow his own whims while abroad and had no firm plans. However Hyderabad traffic sets him ablaze with indignation. He’s a true believer, fighting to see his vision brought to life, and at odds with the career politicians who feather their own nests. A benevolent dictator is still a dictator so I found it interesting that apparently I was supposed to see this as democratic representation of the will of the people. He was never elected, just chosen first by calculating party men and then by public acclaim. And the film shows that acclaim can turn very quickly to scorn. I really did like that in what could have been a clichéd scene of people coming to the Hero to rid their village of a problem, he turned the tables and asked why they didn’t save themselves. It’s a tired trope that needs to be retired or examined, and having Bharat say he would support people but they had to get off their butts and do something to help themselves was excellent. He sees a girl at a bus stop every morning and has no qualms about using state resources to get her number, but he does ask for her consent at key junctures so there is that. He asks why the roads have to be closed for his ministerial convoy but again, no issue with taking over an entire restaurant so he can have a coffee date with Vasumathi. There’s a bit of “don’t do as I do, do as I say” in Bharat. Mahesh is convincing as the driven reformer who wants to remind people of the rule of law, and he can carry off the grand speeches. Bharat starts out using his intelligence and will, but at a point his awesome fighting skillz surface. It’s fitting that at the moment he went from protagonist to Hero, he was surrounded by swirling movie tickets just like the paper thrown by a cinema audience to greet a hero’s entrance. 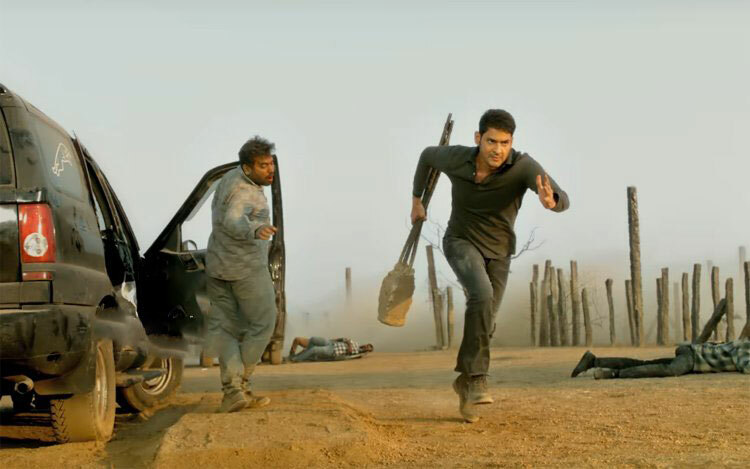 The action scenes are highly stylised, relying on Mahesh’s ability to stare down the camera while sauntering past wearing a baddie as a backpack. I laughed loudly and alone at that visual! Koratala Siva knows exactly what he is doing with the mass tropes and with his actor. I don’t think there is anything in the role that challenged Mahesh’s abilities but he gives a committed and smartly layered performance. For those who rely on me for other insights about layering, yes he wears t-shirts and even flashes his knees. I suspect in one scene that he might have had two white t-shirts stitched together to avoid any hint of transparency. 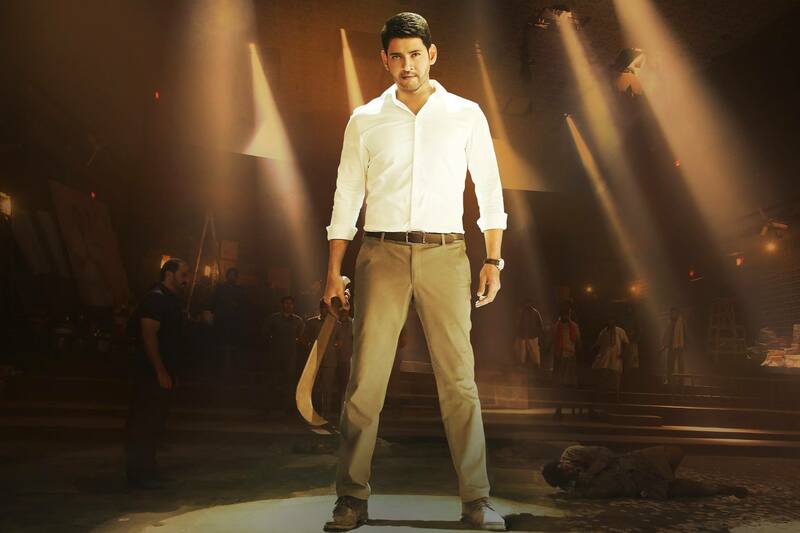 But it’s modern, minimal layer Mahesh in terms of wardrobe. Kiara Advani is Vassu, the object of the CM’s affections. While Vasumathi is interchangeable with just about every other newbie Telugu film heroine, she is vaguely intelligent and has a life. She obviously likes Bharat, but is nervous because of his position and just because she’s a middle class girl. Her giving him a stick on moustache was a stroke of genius. Seeing Bharat happily at one with the crowds on their low key dates because of his dodgy mo was very funny. Unfortunately after a promising start, Vassu loses all agency as soon as men start on about their own honour. I’m neither here nor there as far as Kiara Advani is concerned. She is fine but there’s so little to the character that I couldn’t say she brought anything unique to the role either. Her outfits were boho student in daily life but the songs are where the costume department run amok. The Devi Sri Prasad soundtrack is full of tracks that sound like other tracks, and the lyrics are loaded with dubious English rhyming nonsense. Perhaps I am being harsh and Vasumathi likes to be called “my lovely harmonica”! Mahesh’s prime dancing days are a thing of the past, I think, so the choreography was largely of the walking and pointing variety. The big set number Vachadayyo Saami is a standout mostly for the colour and spectacle (which includes the aforementioned knees). The supporting ensemble is full of competent actors, well cast, and most with a bit of depth or development to their characters. Prakash Raj is excellent as the avuncular Varadarajulu, completely believable as the long time friend and frenemy. Anish Kuruvilla, house favourite occasional director/That Guy, plays a slightly slimy but not unlikeable Chief Secretary caught between the party and the CM. He gets to give his appalled expression a good workout, along with a bit of side eye. Brahmaji is the CMs assistant and like most people dragged along in Bharat’s wake he alternates between flustered and tickled pink at the goings on. Another favourite That Guy, Ajay, has a small but sensible role too. And I was very pleased to see good old Mukhtar (Mukhtar Khan) was not forgotten after one pivotal and quite brutal scene. Bharat might be swept away by the public but the continuity and attention to detail and people was there, as befits his character and this film. 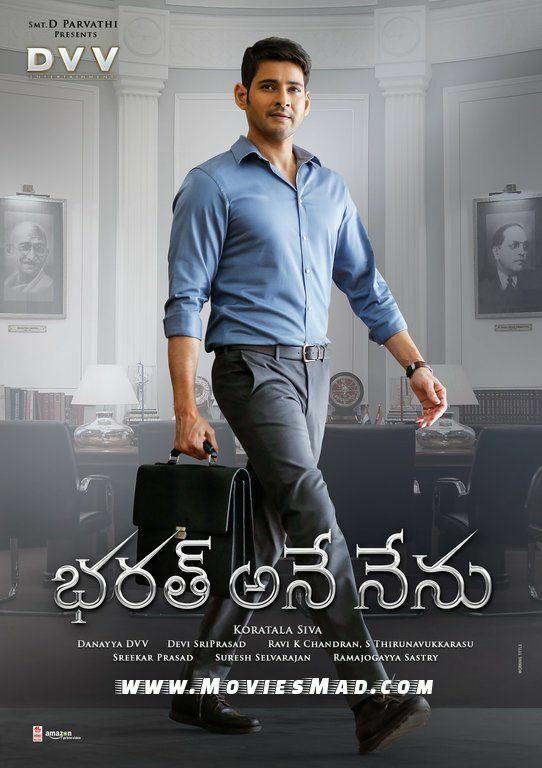 If you like the idea of a well-acted, well directed, and more violent story somewhat along the lines of Mr Smith Goes to Washington but with dodgy subtitles do see Bharat Ane Nenu! This entry was posted in Tollywood and tagged Anish Kuruvilla, Brahmaji, Devi Sri Prasad, Kiara Advani, Koratala Siva, Mahesh, Mahesh Babu, Prakash Raj. Bookmark the permalink.